IRL presentation : Well, I'm from Germany and getting my A-levels currently. In Game availabilites : Basically I'm playing native in a competitive way, but I'm able to participate in events at least 4 times per month. Experience on Mount and Blade : Warband - Napoleonic Wars : Something about 150 hours but, as I said, I'm playing native as well. 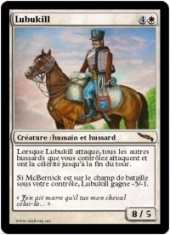 How did you discover the 8e Régiment de Hussards ? A friend and me are looking for a cav Reg. since some weeks and we came upon this regiment. Also I add Subliz and talked to him 'bout it. What are your motivations in joining us ?As I said, I'm looking for an active regiment and wanna improve my cavskills in NW at all. Also I'm interested in some lb's and in a kind community. What do you think you can bring to the regiment (skills, talents, competences...) ? Due to the fact that I'm an experienced native player, I'll try my best to make use of it! Certainly I'm adaptive to improve myself. Additionals informations that you consider necessary? Don't think so. Get on the teamspeak when you'll be available in order to have an interview with either Harford or me in order to be fully accepted to the regiment.